VietNamNet Bridge – Despite the World Health Organization’s (WHO) strong warnings against the use of asbestos (chrysotile) and the ban of asbestos in many countries, Vietnam continues to use it because of its cheap costs. While the EU and North America have stopped making, using and trading asbestos because of the dangers to human health, Asia, including Vietnam, still uses asbestos in many industries. A report of the US Geological Survey (USGS) showed that 85 percent of the total global asbestos output is consumed by Asian countries and the Middle East. The number of countries using asbestos dropped by half from 80 in 1980 to 35 in 2012. Vietnam is among the 10 biggest asbestos consumers in the world, which, according to USGS, consumed 92.4 percent of the global total asbestos output. To date, asbestos use has been prohibited in 54 countries. The US, Russia and Canada still use asbestos, but only on a limited scale. The US, for example, consumed 950 tons in 2013, or just one-fourth of the 65,000 tons Vietnam consumes every year. Analysts pointed out that the amount of asbestos consumed by Vietnam is on a strong rise. In 2011, Vietnam consumed approximately 60,000 tons, ranking ninth among the 10 biggest consumers. Meanwhile, the figure soared to 79,000 tons in 2012, with which Vietnam jumped to the sixth position. The noteworthy aspect is that Vietnam is the only asbestos importing country out of seven countries which did not agree to add asbestos onto the list of industrial chemicals and plant protection substances to be put under the special control. Dr. Tran Tuan from the Research and Training Center for Community Development RTCCD commented that by continuing to use asbestos, Vietnam is going against the world’s trend. On the opinions that Vietnam needs to carry out more research on the influences of asbestos on human health, Tuan said instead it would be better to conduct research about why Vietnam still tries to work against the world’s tendency. “Vietnam is a member of WHO and it has been doing many things recommended by WHO, but we do not do the same in asbestos case,” he said. Dr Le Van Trinh, Deputy Chair of the Vietnam Labor Safety Association, also thinks that it is necessary to stop using asbestos in production and daily life as soon as possible. For the time being, he said, it is necessary to take measures to prevent diseases related to asbestos and prepare a financial mechanism which would allow the gradual reduction of the use of asbestos. 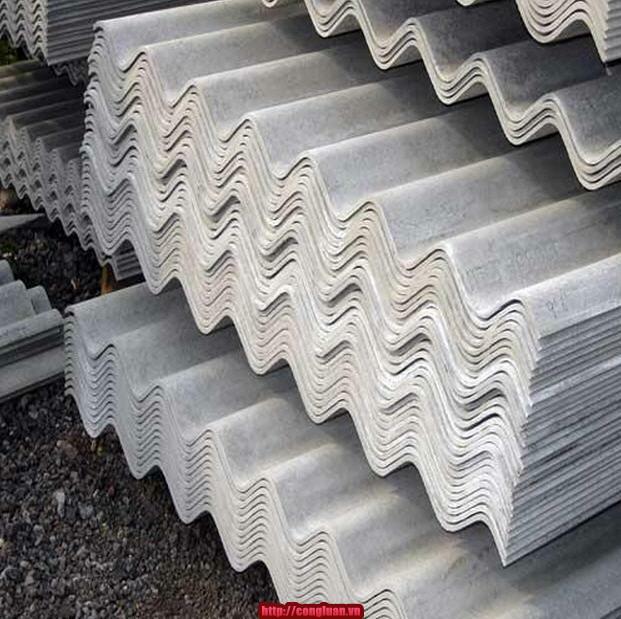 Vietnam National Television (VTV) quoted a report as saying that there are 41 asbestos roofing plates in Vietnam which can churn out 106 million square meters a year, valued at VND3 trillion.